Hoot Hoot!! It's with huge delight we're able to reveal the first official images of Disney's TrueOriginal Mickey Mouse as known from his original screen debut appearance. 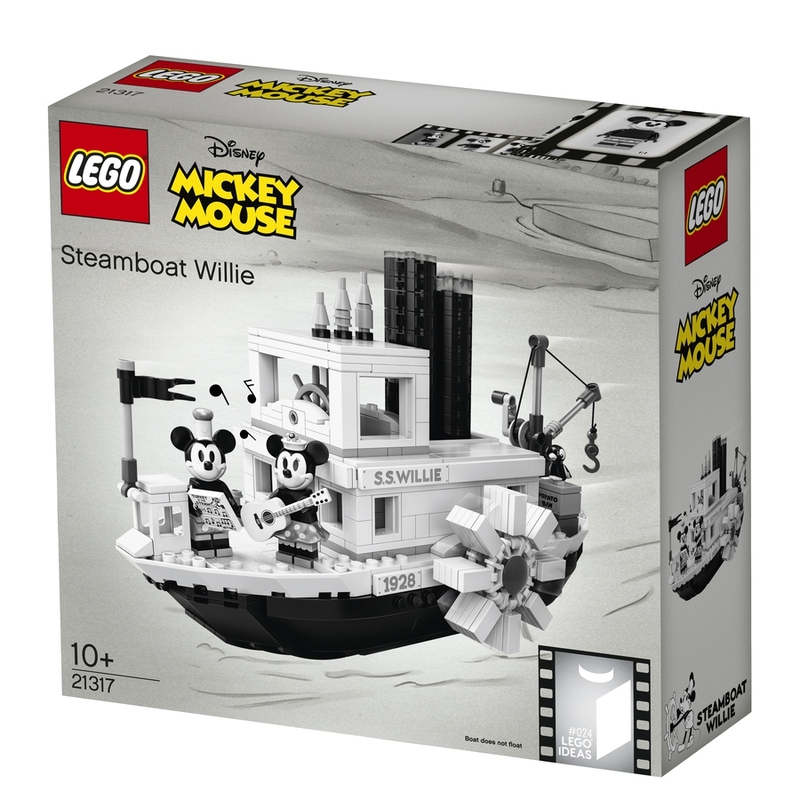 Please welcome LEGO® Ideas 21317 Steamboat Willie. Originally submitted by LEGO Ideas members Máté Szabó (a.k.a. szabomate90) in June 2016, it was adapted into the official LEGO version by LEGO Designer John Ho with all the decorated elements and Minifigures created by Graphic Designer Crystal Marie Fontan. 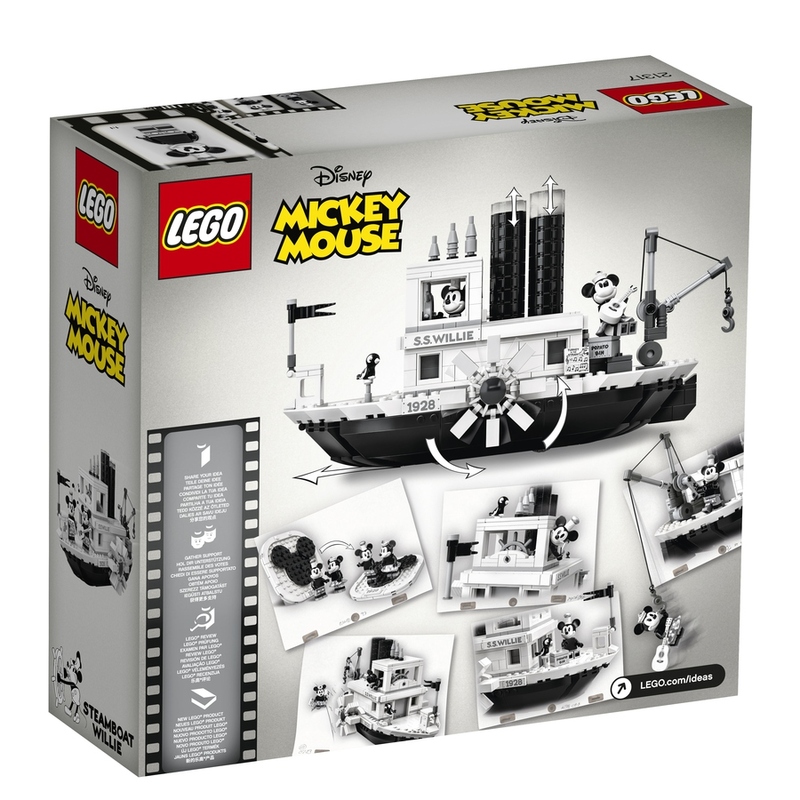 This 751 element LEGO Ideas Steamboat Willie set will be available from shop.LEGO.com and LEGO stores around the world from the 1st of April, 2019 (and it's not an April Fool's joke) for a recommended retail price of USD $89.99 / UK £79.99 / EURO 89.99 (*EURO pricing varies by country. For regional prices please visit shop.LEGO.com). In conjunction with the release of this classic set, we'll also be hosting several special signing events around the world where fans can meet and greet fan designer Máté Szabó and get their sets signed.